Also contains: Vegetable Capsule Shell (hydroxypropylmethyl cellulose), Bulking Agent: microcrystalline cellulose, Anti caking Agents: vegetable magnesium stearate, vegetable stearic acid. 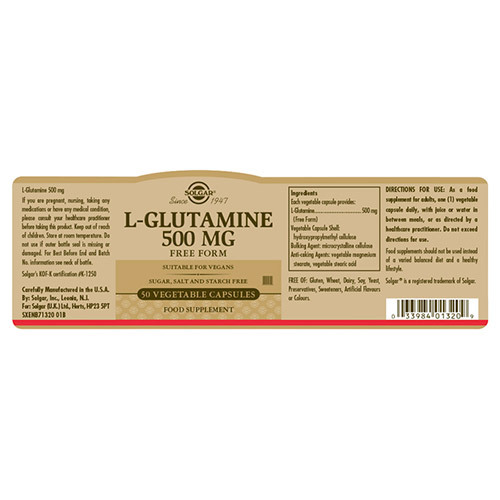 L-Glutamine, Vegetable Capsule Shell (hydroxypropylmethyl cellulose), Bulking Agent: microcrystalline cellulose, Anti caking Agents: vegetable magnesium stearate, vegetable stearic acid. As a food supplement for adults, take one vegetable capsule daily with juice or water, in between meals, or as directed by a healthcare practitioner. If you are pregnant, nursing, taking any medications or have any medical conditions, please consult a healthcare practitioner before taking this product. 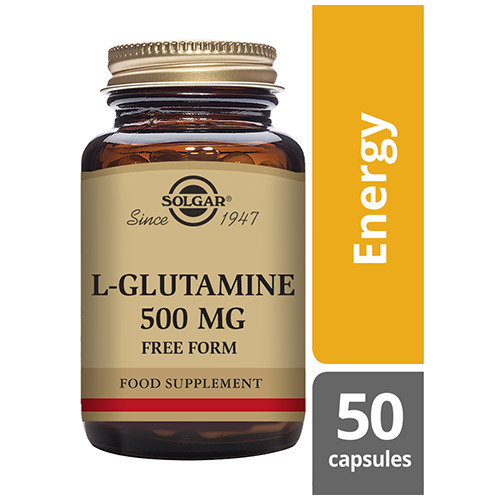 Below are reviews of Solgar L-Glutamine - 50 x 500mg Vegicaps by bodykind customers. If you have tried this product we'd love to hear what you think so please leave a review. 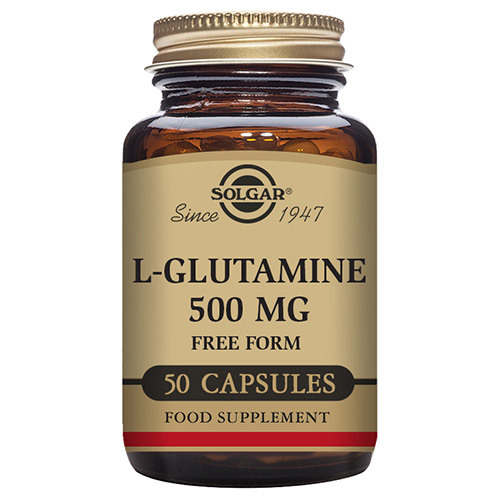 L-Glutamine is useful for anyone trying to reduce their alcohol cravings and it also helps the body/brain assimilate other nutrients. 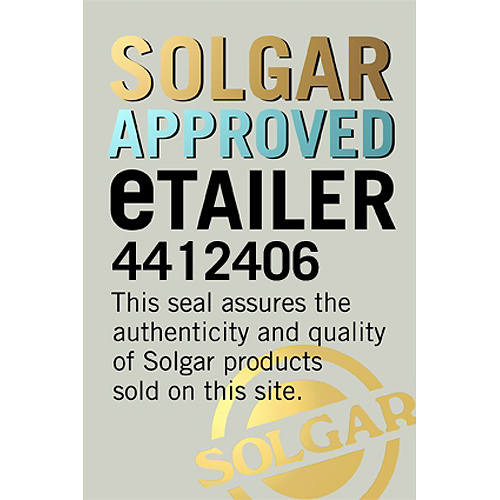 Solgar is a good brand.